AMD's mobile market share is close to 20%. The Athlon 64 X2 TK series is very interesting. A true 64 bit chip is more attractive than Intel's Pentium 3 derivative which has very high idle power consumption. Intel will BK at roughly four quarters after Phenom enters the market. He says he was singled out for not being an Euro. He is ready for a Title VII action -- or the equivalent in Europe. AMD has taken 23.5% of the overall CPU market. Hector's asset-lite strategy will kick-in in 2009. after the jury awards AMD $61.5 billion in treble damages and AMD owns all of Intel's FABs - sans the workers. Intel now has 88,100 workers. FACE Intel added 11,800 troops -- enough to add a division. Patty is on the layoff list -- rumor says. The only R&D people will be kept is the 1000-men REAR group (REAR -- Reverse Engineering AMD Research). Nehalem was a six-year effort deciphering AMD PDFs, and the REAR group got some pre-alpha silicon running -- though there are many many bugs to fix. It will be another two years before the world may see Nehalem - scheduled for 2H09 - in action. But, by then, Intel will have BKed according to reliable projections. Intel's layoff is part of the contingency plan for the 2009 anti-trust trial. AMD lawyers say all Intel's profits belong to AMD. If they convince jury on that argument with some Nobel Prize winning calculations, all of Intel FABs will belong to AMD. When Hector talks about asset-lite doctrine, he was referring to getting all Intel FABs -sans the workers -- for free. Quiz: what is in this diagram? K10 rotated by 90 degrees? Answer: the projected 2H 2009 K10 copycat chip. Intel BK time may be pulled ahead. AMD 45nm ramp starts in 1H08. Hector's strategy is brilliant: take market share at all costs, once Intel is pushed down to 70%, it will not have sufficient volume to support its weight. Judging from Intel's announcement of more layoffs, AMD's strategy is working. Those $69 Athlon X2s are just too attractive. Interestingly, AMD's desktop and mobile ASP even went up a bit. The reason is simple: AMD can arbitrarily rate their chips at 2GHZ or 2.6GHZ, and since AMD priced the chips so close, people buy the higher priced ones. Right now, a 3GHZ Athlon X2 is only $159. Are you going to spend $99 buy a 2.5GHZ part or just $60 for a Core 2 Duo killer? The answer is clear for most. 3GHZ is enough to frag most Intel CPUs, and it costs only $159, much less than a good graphics card -- and you got the bragging rights--3GHZ true AMD64 technology with Direct Connect Architecture -- something Intel won't have until 2009. The future is now with AMD64. Intel CPUs are just half-baked clones. I noticed that Hector is always trying to justify his ATI purchase -- if you look at AMD's results, ATI generated very little revenue --about $300 million -- or 20% of AMD's revenue. Yet ATI has about 5000 workers, half the size of AMD. So the natural question is whether ATI purchase was a good move. We need not argue on this based on temporary losses incurred due to ATI. Look at the business ATI will bring to AMD -- mobile, desktop, graphics, chipset. With ATI and AMD, the world does not need anyone else as far as x86 computing is concerned. The lead is significant. The INQ took note of it. 2.933GHZ Tigerton burns 130 watts. These Intel tigers are more like hot cats. See the picture above from Intel, the tigers are feeding from a single straw. Overall, Intel is about 6 years behind AMD in processor architecture. Ratty says his Israeli engineers lack originality -- I predicted that it would take Intel engineers 5 years to figure out the Opteron manual... The retards took 6 and we are not even sure Nehalem will work. Right now, Intel has 500 chip designers spending sleepless nights digesting AMD PDFs as they have been doing for the past 5 years. I suggest Hector to block Intel from accessing AMD PDF documents. Intel makes no innovation, it is a copycat. intel 2005 120000 plus employees. 2013 no employees left to fire. lost 13333 employees per year. 2) Intel's liability from anit-trust violations. Intel may have laid off 10000 in 2007, but it was in a time when it had some perceived advantage with its double-dual-core. AMD's true-quad was just launched one month ago and is in the process of ramping up -- now the demand is far exceeding supply. 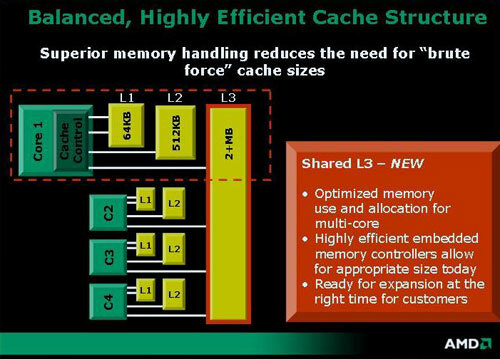 Once AMD fully converts to K10 marchitecture, any perceived Intel lead will be vaporized overnight. At that point, you will see an accelerated layoff schedule from Intel. Another killer is the anti-trust lawsuit, AMD estimated that Intel made about $30 billion illegal gains. In fact, AMD's lawyers are basically arguing that all Intel's profits belong to AMD and you need to treble that amount for anti-trust violations. When will Intel BK? My original projection was 2Q08. That projection was based on the assumption that AMD would lauch K10 in March 2007. AMD had a six month delay -- which allowed Intel to make profits for two quarters. Accordingly, I adjust my Intel BK timeframe to 1Q09. I had a few crashes already, the BSOD shows nvstor32.sys as the problem. Others had similar problems with Nvidia. My ATI based system is rock solid. Bought a WRT54G V6 Wi-FI router this afternoon for $29. I planned to use it as a wireless bridge for my xbox 360. The built-in firmware does not support client bridge mode. What do you do? 4. Open the TFTP client (Enter IP: 192.168.1.245 or 192.168.1.1) and upload "dd-wrt.v23.micro_generic.bin"
Then I got this super cool linux based firmware running. (You can even telnet into it). The only thing I complain is that the Xbox 360 is not running AMD64 tri-core technology. FYI, the Xbox 360 is an impressive piece of hardware powered by AMD technology -- the graphics is really good. But the CPU needs some boost -- Phenom X3 is the solution -- Microsoft is just retarded not to use AMD64 but choose a PowerPC derivative. Bill Gates has no imagination, he saw Sony doing IBM, and he just follows suit, no brainer and no brain. BTW, Vista crashes in BSOD quite often. The 2.8GHZ Athlon X2 5600+ costs only $146 -- it's pretty much identical to FX62. 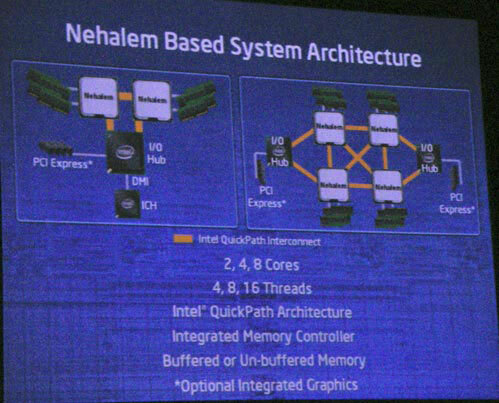 Intel CTO is proud of double cheeseburger design -- packing two double cores on FSB and you get a Naive Quad core. 65 watt, 20% faster than 2.33 GHZ Intel quad, $230. Now, one can have a 8 way workstation for $1000. Test date: Jul-2007). AMD leads by 69%. AMD SPEC_FP_2006 score (16 cores, 2.5GHZ): 160, Intel (16 cores, 3GHZ): 113. The 2.5GHZ AMD has a massive 41.59% lead over the 3GHZ Core 2 quad. A 1.8GHZ AMD beats the 3GHZ Core 2 quad by a narrow margin. Phenom system is ready to rock Patty's options value -- expect him to dump some and make a quick buck. We know Intel system performance is substantially lower than AMD in most common settings. You can get a decent AMD system with enjoyable 3D and CPU power with a reasonable price. For Intel, you will have to rely on either AMD or Nvidia graphics to get some basic stuff out of Vista. Jury awarded $220,000 to RIAA. Under copyright law, RIAA is entitled to attorneys' fees and costs. As I analysed here, if you are caught P2Ping music, pay the $3000 and pat yourself on the back for being lucky, because you could end up ruined forever -- willful copyright infringement damages are not dischargeable via bankruptcy. The killer is coming. K10 frags Core 2 more than K8 did Netburst. Intelers are always in denial. In any case, Intel won't have similar technology until 2009 the earliest. It took the brilliant Israeli engineers three years to figure out Pentium 3. It has take them five years to grasp the essence HyperTransport 1.0 and direct connect architecture 1.0. They plan to have a copy of HT (codenamed "quickpass") fully operational in 2009, which they call the greatest Intel innovation since 80286. AMD's strategy is simple: market share at all costs. As long as Intel's market share is shrinking, its ability to wage war is severely hampered. As AMD takes more share, it only needs a small window of opportunity to finish off Intel due to the latter's large size and inefficiencies. A 2.6GHZ K10 is sufficient to frag a 4GHZ Intel Quad -- recall Intel CPUs do not scale with frequency due to FSB bottleneck. Such a crushing performance lead will force Intel to cut prices, coupled with the loss of market share, Intel's demise is the inevitable result -- unless Intel quickly downsizes itself and seeks a level of survival that is about 1/3 of its current size. But by 2009, Intel will have BKed, and won't be able to pay the anti-trust penalties. PS: some readers seem surprised at those primitive attacks, get used to it -- Intelers have low IQ. Incidentally, we know AMD 690G is 611% faster than Intel. The fundamental problem with Intel's architecture is the FSB bottleneck. This is well understood. As Intel increases the clockspeed of its CPUs, it hits two walls. The first is the heat density -- Intel CPUs are running at high temperature -- near the edge of silicon meltdown. The second is the FSB -- Intel systems simply do not have the bandwidth to handle the demand of modern multitasking computing paradigm. As Intel increases the clock speed by going to 45nm, the CPU tries to do more, but the FSB is the limiting factor. With Intel's primitive design, all communications, even core-core cache coherence traffic have to funnel through the front side bus. Thus, it is entirely possible that Intel CPUs demonstrate lower performance at higher clock speed, due to the fact that higher frequency Intel CPUs generate more traffic jam on the bus. We have seen SpecInt_rate benchmarks where a 1.86GHZ Intel quad is faster than a 2.13 GHZ Intel quad. We identified the cause of the problem to the cache size, but the real fundamental problem is bandwidth limitation. Intel uses large caches to hide its bandwidth constriction for small benchmark programs. In real applications where memory and bandwidth requirements are higher, Intel architecture is simply choked. I heard that a professor lecturing in computer architecture at the Tel Aviv University gave Intel engineers a C+ on the Core 2, largely due to the double cheeseburger multi-core design. Appro sold a 12096 processor K10 computer. HP sold a 4600 processor computer. SUN sold a computer with 15744 CPUs. A 2GHZ K10 is 20% faster than a 3GHZ Intel quad. A 2.6GHZ K10 will be 50% faster than a 3GHZ Intel quad. No wonder the Israeli engineers are so quiet these days, no more loud mouth bragging. At the end of the day, they are just patching Bob Colwell's Pentium 3. Bob Colwell knows that and everyone knows that. AMD stands for American innovation and American power.